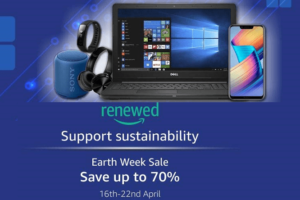 The arrival of a new version of the operating system means new wallpapers, new features and new experience in terms of performance and the list goes on. A few weeks ago at the WWDC event, the Apple showed us a peek of the upcoming iOS 12 and it was the highlight of the event. The new iOS 12 version is said to make the old phones way smarter and better. In addition to that, it will also let you know if you are addicted to your device. Interesting right? Let us now have a look at all the exciting features of iOS 12 here now in detail. Finally, the Apple is listening to its users. 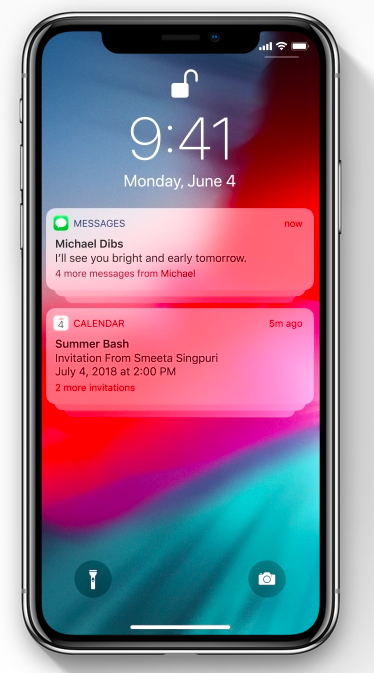 The company will push the feature of Grouped notifications via iOS 12 to all the devices. It works more like the Android notifications and you would be able to view all the notifications of an app at one place. 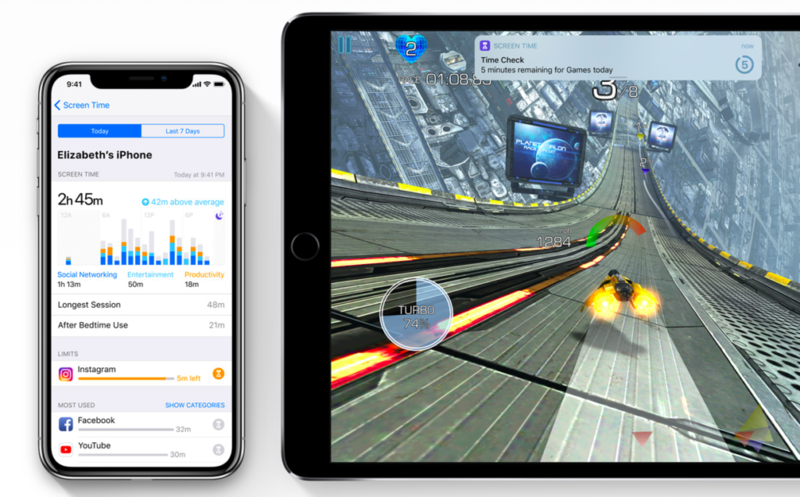 The upcoming iOS 12 will boost the performance in the older Apple smartphones and iPads. 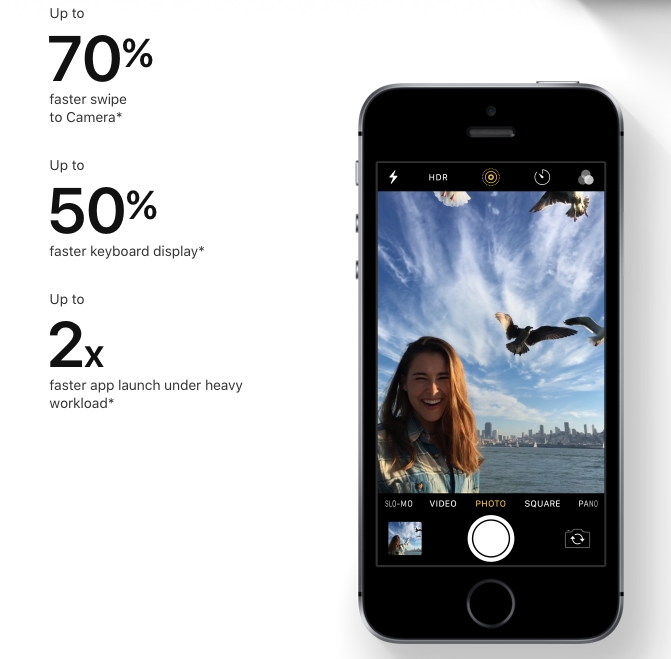 The users will be able to launch the camera app by 70 % faster and other apps by two times than the existing speed under heavy workload. Apple also says that the keyboard display will be faster by 50 %. The best thing about this feature is that it is going to benefit even the older devices like iPhone 5S. A similar feature is also available on Android Pie. In iOS 12, you will be able to view all your activities in a dashboard. That includes displaying the time spent by you on the device. It can be used to see if you are addicted to the gadget. It will also show you the websites you visit often and much more. 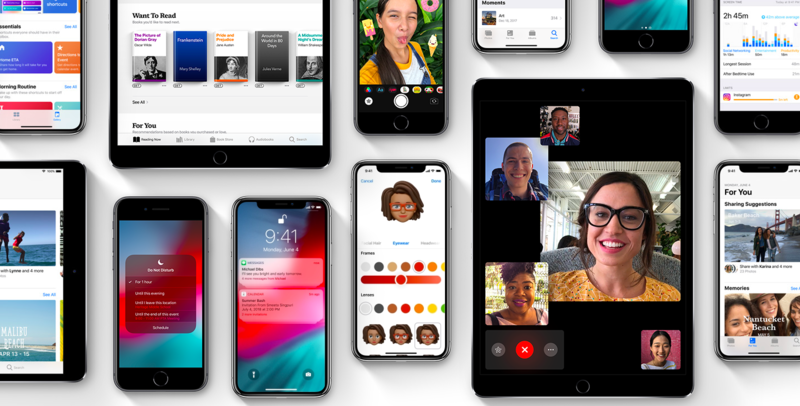 The users on iOS 12 will be able to speak with up to 32 people simultaneously. To know who is speaking during a group call, the tile of that person will be highlighted. That way, you will not lose the track of the chat. 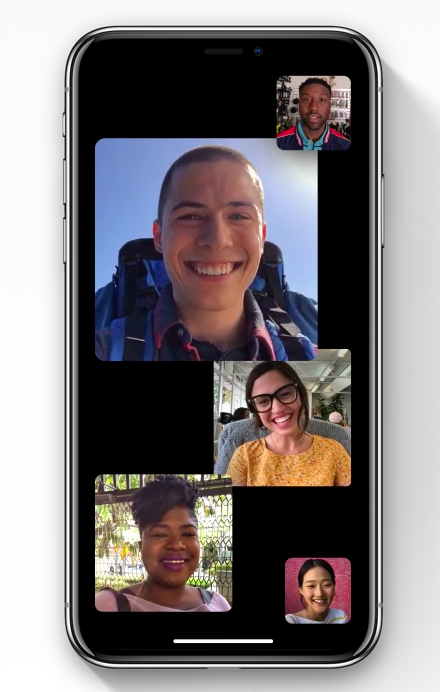 Users will be able to launch a FaceTime group call directly via any group thread or via an active one at any time. 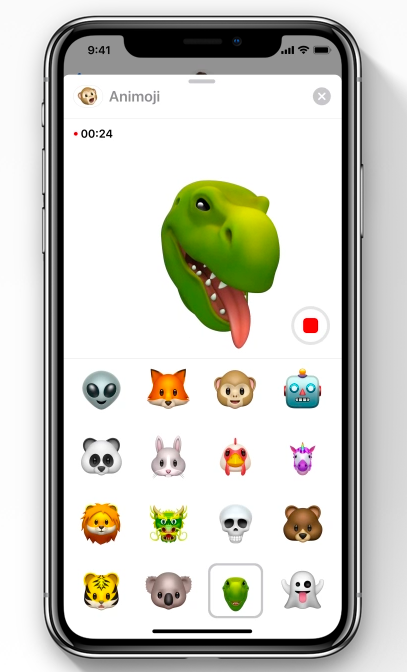 The Animoji was one of the highlighted features on the iPhone X and the company is now going to introduce four brand new Animojis – koala, tiger, ghost or T. rex via iOS 12. The movements of the eye and tongue will be very accurate and you should be able to express your emotions better than last year. Apple will now also let you create your own emoji. And the company is calling this feature Memoji. Using the set of tools that are available on iOS 12, you can create one that will match your mood and personality. 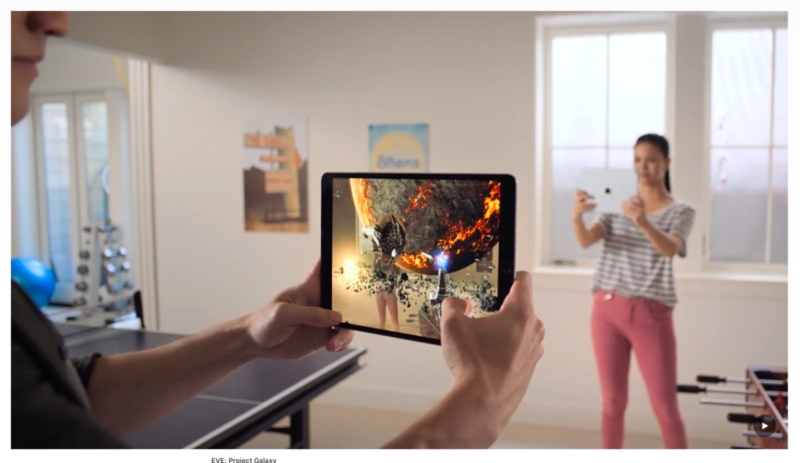 The Augmented Reality on iOS 12 will be on a whole another level. The latest ARKit 2 will allow the developers to make more advanced augmented reality experiences. In addition to that, the AR objects can also be sent via Mail and Messages. Sharing on Photos is going to much better on iOS 12. The latest For you Tab will display you great moments from your photo library and suggests you to share them with your contacts. This feature works more like the Google Assistant that is available on the Google Photos. The stable version of the iOS 12 is yet to be launched and we can expect more features to be introduced on the final version as well. Which is your favorite feature on iOS 12? 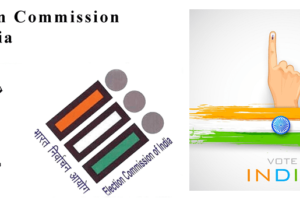 Share us your views in the comments section below. For more similar latest updates, stay tuned with our Picks section.